Suzuki Vitara Performance, Engine, Ride, Handling | What Car? 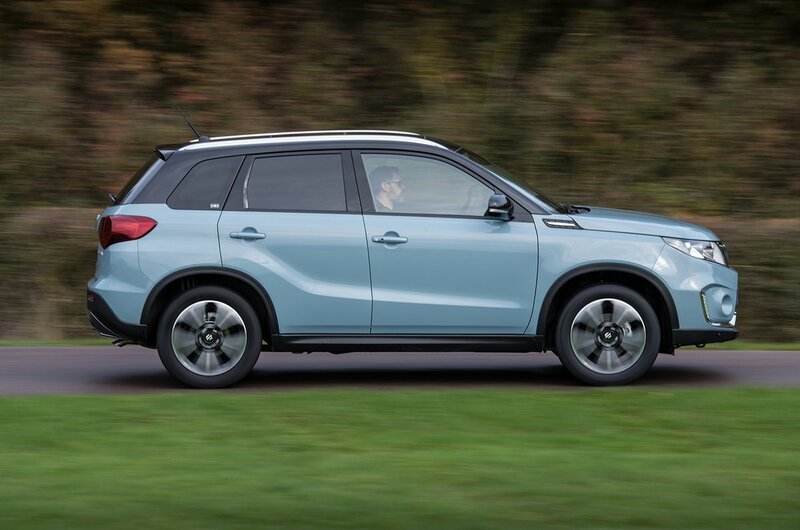 The Vitara gets a choice of two petrol engines, both of them turbocharged. There’s a 1.0-litre or 1.4-litre unit, kicking out 109bhp and 138bhp respectively. The 1.0-litre engine is our recommendation, and is a worthy contender to other turbocharged rivals, such as the 1.0 TSI in the Seat Arona. It’s more than capable, with power arriving promptly when you put your foot down – not the case with some other small turbo units. But the 1.4-litre is still an excellent option, adding that extra bit of power for taking on longer motorway journeys. It offers plenty of pull with limited lag - but is a little bit pricey. Opting for the automatic gearbox option instead of the standard manual blunts the performance, and the same is true of the optional four-wheel-drive system that's available with both engines, dependent on trim. The Vitara has firm but well-damped suspension. Big bumps or potholes will send a dull thud through to the interior, but the ride rarely gets unsettled and never becomes jarring. You can drive the car for hours on motorways, or across country on rougher roads, and it doesn’t get tiring or uncomfortable. This is still the case even on the slightly stiffer-sprung S model. SZ-T and SZ5 models get 17in alloy wheels, instead of the standard 16in rims, but they don’t compromise the Vitara’s ride quality. All things considered, the Vitara is one of the more comfortable small SUVs, although the Volkswagen T-Roc and certain versions of the Arona are even more so. 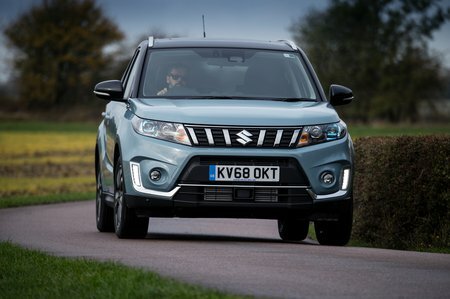 The Vitara has a precise and grippy front end but is let down by its steering. It’s very light around the straight-ahead position and there’s little sense of connection to the front wheels. Little additional weight builds in faster corners – something that can be disconcerting at first. Around town, though, it’s absolutely fine. Despite the steering issues, there's still some fun to be had hustling the Vitara down a twisty B-road, thanks to its excellent body control; this is more akin to a good family hatchback than a wallowy off-roader. Go for the sportier and stiffer-sprung S model and things get even better. But if you’re looking for a more involving and polished drive, the Arona feels much more composed. The Vitara’s engines are smooth, even when worked hard, but they are a bit thrummy when getting up to speed and noisier than the engines of rivals such as the Arona. All models suffer from intrusive wind and road noise as well. If you go for the 1.0-litre engine, you get a five-speed manual gearbox, while the 1.4-litre unit gets a six-speeder. Both are slick and precise and, combined with their well-weighted clutch pedal, allow you to change gear quickly and pull away smoothly.